I guess for some folks a bowl of oatmeal is the breakfast equivalent of steamed broccoli. It’s something you eat because it’s good for you, but it’s not terribly interesting. 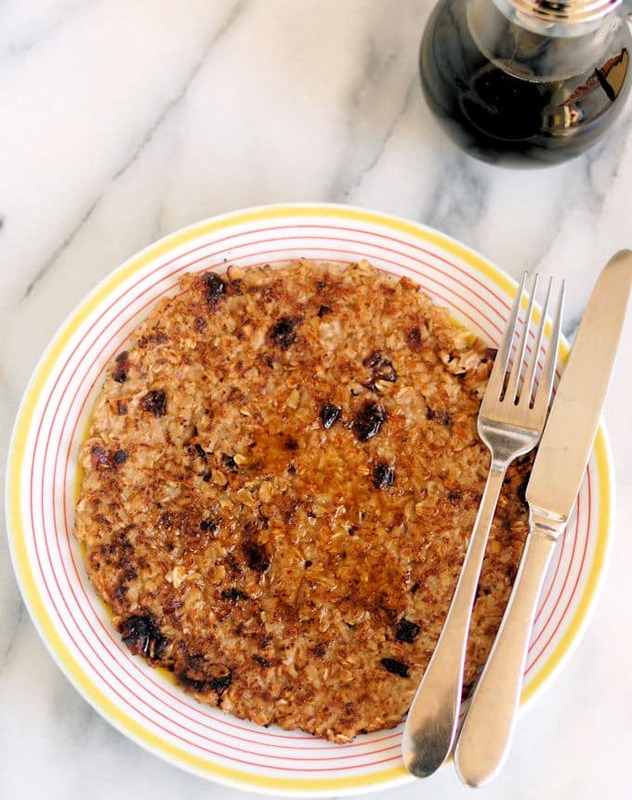 If you’re one of those folks, this Crispy Oatmeal Pancake just might change your mind. Well, I’m not one of those folks. I love oatmeal. 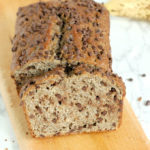 Seriously, I eat the stuff every day in the colder months of the year and it’s also one of my favorite baking ingredients. 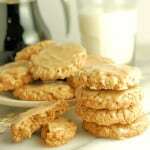 After you finish eating your delicious Crispy Oatmeal Pancake, check out my favorite Maple Glazed Oatmeal Cookie recipe, and my Oatmeal Soda Bread recipe for other ways to use rolled oats. 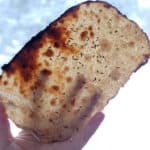 This transformation of a regular bowl of oatmeal into a crispy pancake was inspired by one of my favorite ways to use up leftover risotto. I form cold risotto into patties, then pan fry the patties until they’re crispy, golden brown and delicious. Same idea here. Click on the right arrow to see how it’s done. 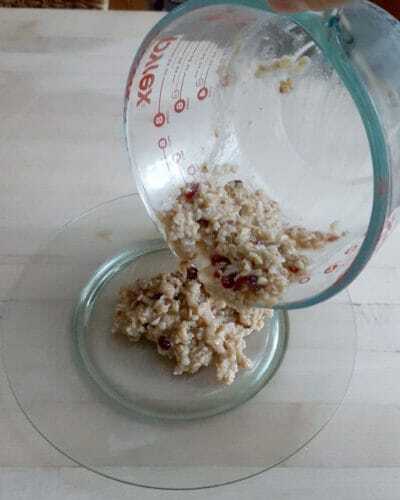 I use “old-fashioned” rolled oats because they’re quick to cook and have no other ingredients added. But just go ahead and use whatever oatmeal you normally make. 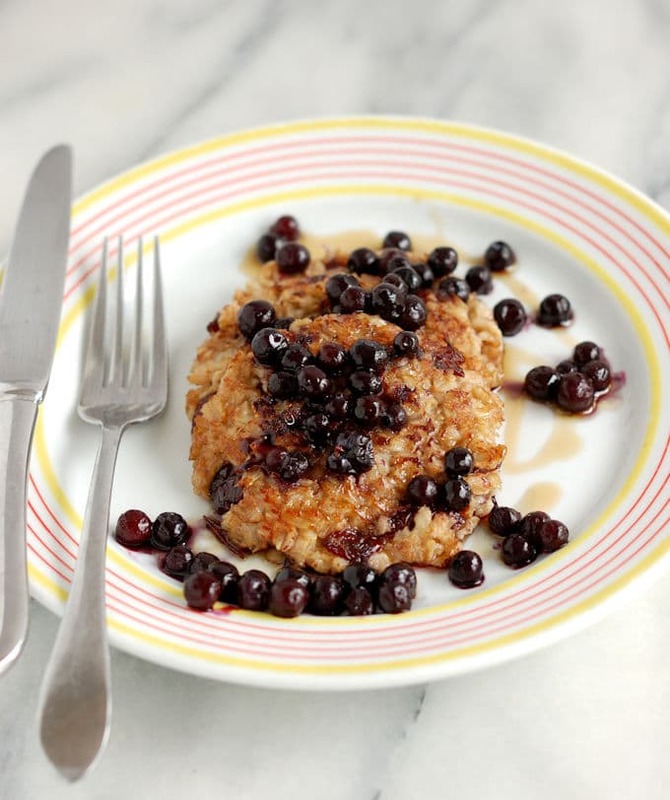 I think a Crispy Oatmeal Pancake made from steel cut oats would be fantastic. 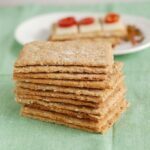 The best part is, aside from a tiny bit of butter used to fry the pancake, this crispy treat is just as healthful as a regular old bowl of oatmeal. Because this is the time of year we’re all resetting our diets after the holidays I wanted to keep the dish on the healthier end of the scale. 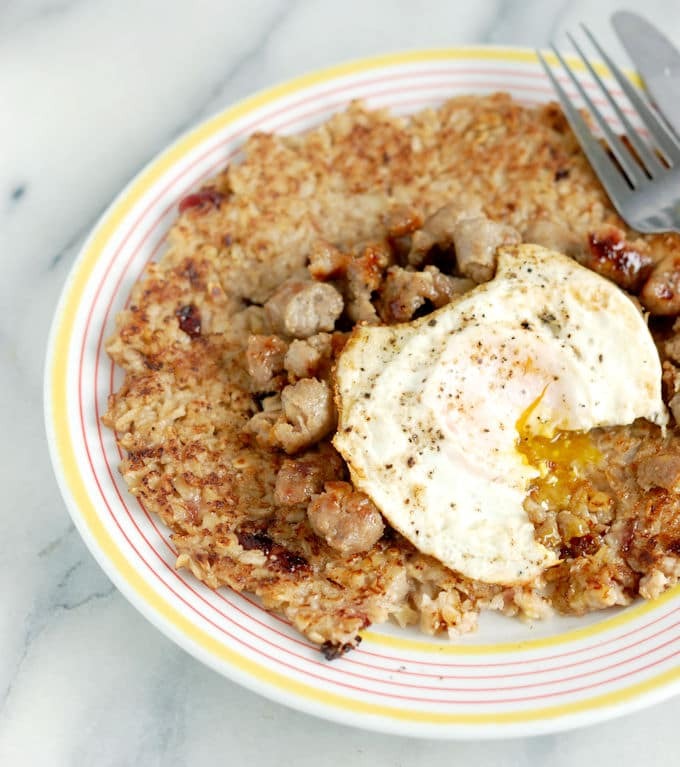 If you really want to be good you can use pan spray instead of butter, or if you want to be a little bad you can top the pancake with breakfast sausage and eggs. The possibilities are endless and only limited by your imagination and what you’ve got in your pantry. 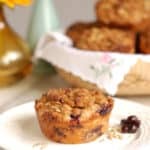 Combine oats, water, salt, craisins and cinnamon. The pancake can be made the night before, wrapped and refrigerated until morning. 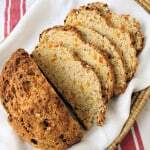 Serve with maple syrup or top with fruit or savory toppings of your choice. I added Craisins and walnuts to my oatmeal because that's how I eat it every day. 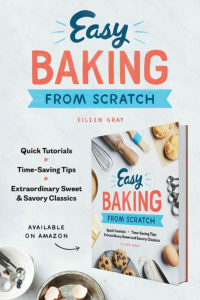 Make your own variation by switching in raisins, apples, almonds, etc. What an interesting idea! 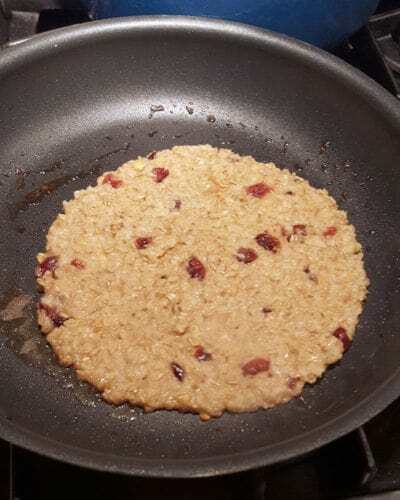 I have never thought of making a pancake out of oatmeal! This is such a genius idea! I’m much rather eat oatmeal in pancake form than in a bowl! Nomssss! We always have leftover oatmeal and my husband is the only one who eats it. I think you’ve just solved our problem, and the kids will go for it, too. Excited to try this–thanks! Great idea! 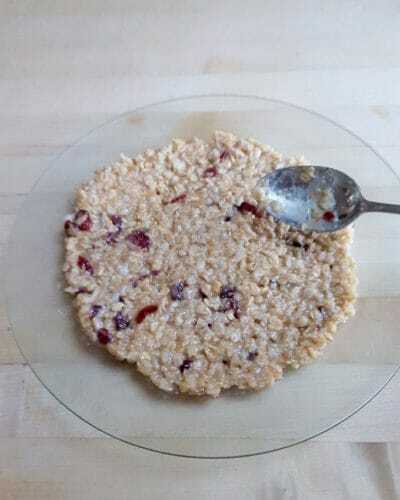 I love oatmeal but sometimes I need something juuuust a little bit different from the usual bowl…this will be a great option! I love oatmeal too and eat it every day. But this was a nice change without the guilt of a heavy breakfast. LOL – I happen to like both oatmeal and steamed broccoli! But yes, this looks delicious, and it is nice to sometimes have a change of pace. Oh I LOVE this idea! I love a bowl of porridge but frying it up until it’s crispy?! Genius! Thanks, Sasha. Crispy is always good, isn’t it? 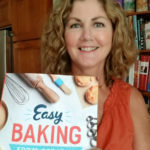 Definitely adding to the brunch menu! This looks so yummy! 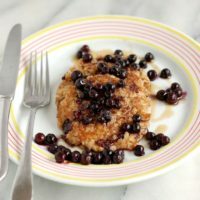 Oatmeal in pancakes can be so tricky but you look like you’ve mastered it beautifully in this recipe! Thanks, Jenna. They’re so easy because it’s just basically oatmeal.